'93 928 GTS 5 Speed. One owner. 65k. 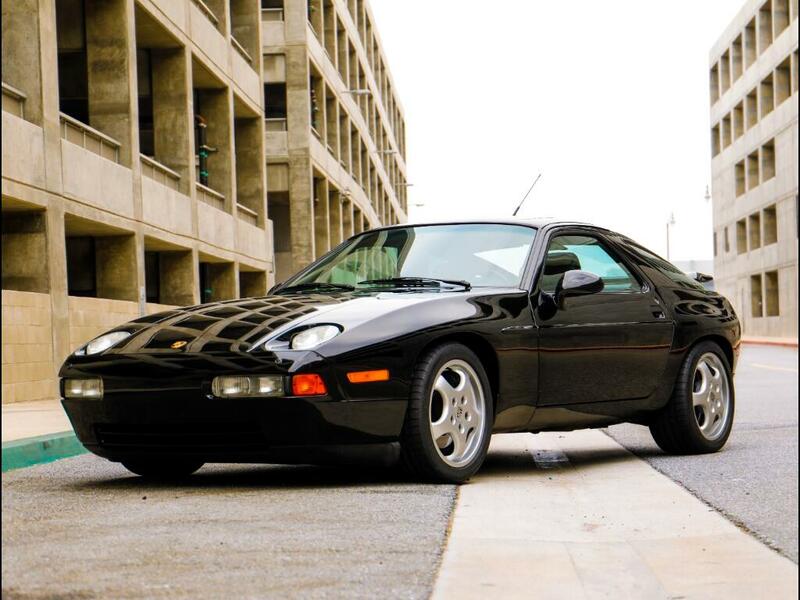 Chequered Flag International is pleased to offer this 1993 Porsche 928 GTS 5 Speed in Black with Black interior. 65,641 miles with one Carfax certified owner. Fantastic body with excellent original paint. Uncurbed rims with new Michelin Pilot Sports. Very nice interior, no dash cracks. Nice seats, carpets, door panels and roof liner. Mechanically nice and a delight to drive. Has new water pump and timing belt, etc at 63,890 miles at a cost of $5,584. Other records going back to '99. Comes with Certificate of Authenticity, tools and jack, etc. Only around 100 of these GTS's came to the US with the 5 speed option. This is a very good honest example. Inspections encouraged. All sales AS-IS. Sales tax and license fees due if delivered in California. Message: Thought you might be interested in this 1993 Porsche 928 GTS.